Splendor… such a word sets fire to the imagination, alighting our minds with sophistication & class. It’s a word that rolls off the tongue, leaving most of us feeling just a bit more fabulous. Our team knows that to describe something as splendid, it must truly live up to the merits of elegance and quality. Our Silver Splendor collection did just that, and helped set the standard for disposable premium dinnerware with a classic style that looks great no matter the occasion. In the wake of its success, our team has taken on the challenge and sought to try to exceed ourselves once again, and reach new heights so we can go beyond what was thought to be possible! With the familiar elegance of Silver Splendor, and our always forward-thinking ideas of quality and style; we’ve now made ‘square’ the new word for fabulous! So, without further ado we are happy to introduce our newest addition, Square Splendor! Style in 2 sizes; letting you keep each course classy and consistent! 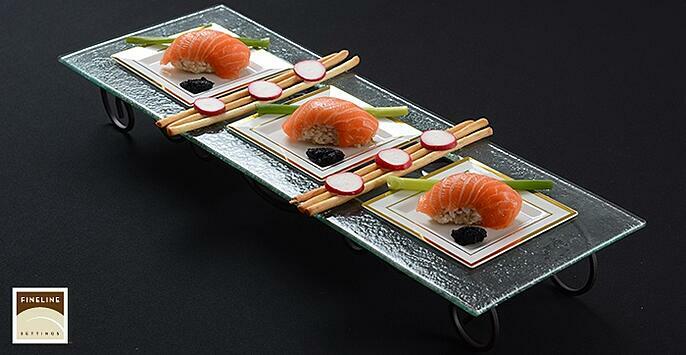 Poignant design in the form of sharp edges; giving your event a touch of modern distinction! Lovely, reflective color styles inspired by its predecessor shine through, no matter the shape! 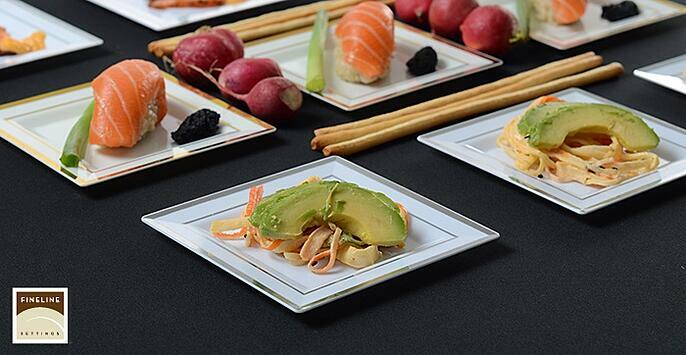 Enjoy a serving surface of 6” and 8”, Square Splendor satisfies the hardiest of guests! Now, with four fabulous edges, your tablesttings are only limited to your imagination! 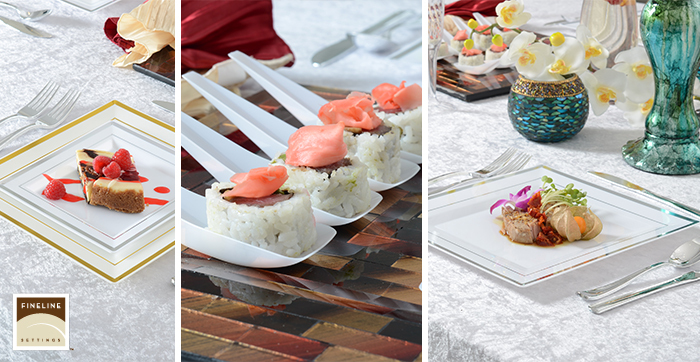 Distinguish yourself as a party planner with an edge that is a cut above the rest! 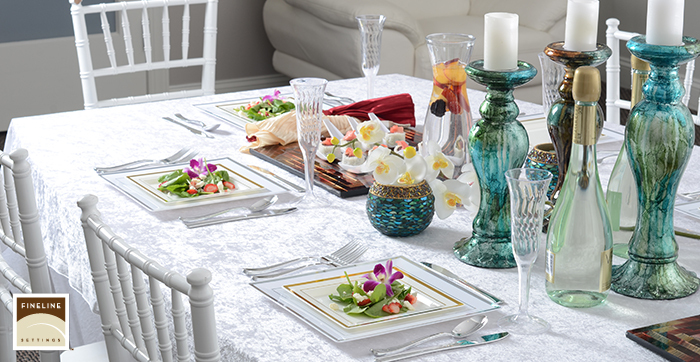 Observe your guests shock and awe as they dine in elegance on disposable & recyclable plastic! Rise to any occasion without the hassle of hours spent sponging and rinsing! Whoever it was that dubbed the square as a flat and undesirable shape has obviously never seen anything like Square Splendor! Our company has strived to maintain a class and elegance that is timeless, and the alluring and chic shape of the square is undeniable! All of us have edges, and they’re all fabulous; and Square Splendor is here, as with all of our collections, to compliment all that is uniquely you! So go ahead, proudly declare that you are square, and watch your guests’ eyes widen with awe at just how splendid every corner of your event is!